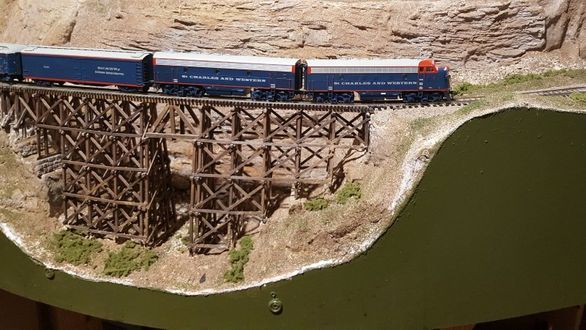 The Cowtown Model Railroad Club, a 501(C)3 non-profit organization, is an club whose purpose is to promote the hobby of model railroading to the public in an effort to encourage future participation. 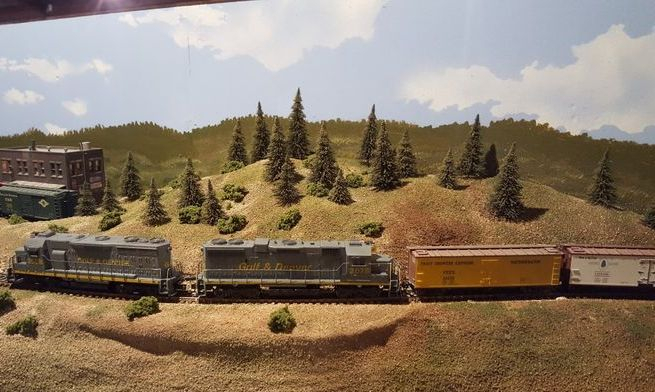 The Club is committed to the sponsorship, organization and ethical participation in events which promote the railroad interests and activities shared by the members including the realistic operation of the club's HO-scale model railroad layout. Membership shall be open to all persons interested in model railroading as defined by the CMRRC Bylaws. To maintain active membership, Club members must be current in dues and are expected to participant in the Club’s activities, such as the monthly meetings, layout work sessions, operating sessions, etc. Membership is limited to individuals who are the age of fourteen (14) years or older. A member under the age of eighteen (18) years must be accompanied by a parent or legal guardian. The Gulf & Denver Railroad Authority is a freelance standard gauge HO-scale railroad of the Cowtown Model Railroad Club. The layout is the reincarnation of the former General Dynamics/Lockheed Model Railroad Club layout. The room is approximately 50’ x 30’. The layout runs along the side and back walls with the exception of a 3 foot aisle on the side with the HVAC units. There is a center peninsula with backdrop dividing the sides and a large dog-bone section coming off the center peninsula. The layout structure wise is set in the transition era but clearances have been set for modern height cars. The layout has a walk around design using the Easy DCC (digital command and control). The track is mostly Atlas code 100 with Peco turnouts powered by Tortoise Switch machines laid on a Homasote or cork roadbed. Track work is 100% complete while the scenery and backdrops are 30% complete. Operating sessions are controlled by the RailOp computer based software. The photos on this page are of the previous layout.. Check out the Photo Gallery tab to see photos of the new layout. The general meeting of the membership is held the 3rd Monday night of each month beginning at 7:00 PM at the Handley Center (address above). Thursdays at 6:30 PM - 9:00 PM reconstructing the layout. Saturday work sessions are the 2nd and 4th Saturday morning of the month from 9:00 AM - noon. Other work sessions will be posted on the Current News page or by special e-mail from the club president. Each month the CMRRC publishes an informal newsletter for the membership and any other interested individuals. It contains club news as well as model railroading tips and hints, information on the upcoming monthly membership meeting and any other items that may be of interest to the membership. The current and one past month can be downloaded by clicking on the link below. For older issues, e-mail the website with your e-mail address and ask for which issue you are requesting.